I really wanted to like this book, and I’m reluctant to say anything negative about something written by a man who has made his living at writing for over 50 years. It wasn’t the writing that I had trouble with, however; it was the content. I guess I was initially drawn to buy this book because I love a good memoir, and this one is authored by someone who battled and survived cancer – a topic near and dear to me. 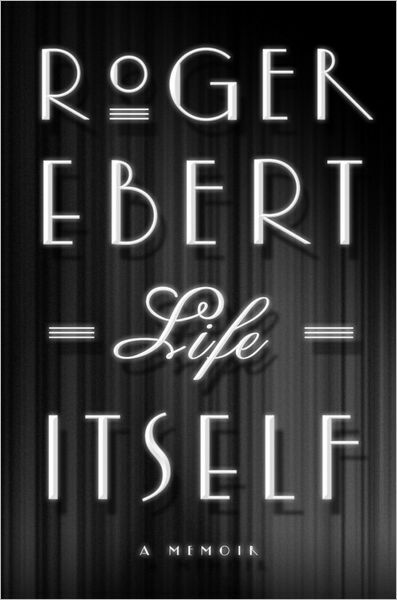 If the book could be broken into three parts, I would say that I really enjoyed the first and last parts – dealing with Mr. Ebert’s childhood and late adulthood. The middle part, however? Not so much. The filling of this particular sandwich is a very esoteric recounting of his career in the newspaper business and his encounters and relationships with various Hollywood personalities he met through his career as a film critic: Lee Marvin, John Wayne, Martin Scorsese, and Robert Mitchum, to name a few. I had a lot of difficulty paying attention throughout the middle portion of the book and found myself doing quite a bit of skimming (which always makes me feel like I’m cheating, for what it’s worth). I had hoped for more about his battle with cancer; but the book isn’t about cancer, and he hasn’t allowed cancer to define him, so it makes perfect sense that his battle with cancer is but a chapter in his life. “My mother was a good woman, and I loved her. I had a happy childhood and was loved and encouraged. Alcoholism changed her, and I should know as well as anyone how that happens . . . . Alcoholism is a terrible disease and I am glad I had it because I can understand what happened to her, and how it damaged my own emotional growth. I buried myself in movies that allowed me to live vicariously. All in all, it’s worth the read . . . even if you skim parts of it.